Your check wants a selfie!! Yes, mobile deposit is that simple. Deposit checks with your smartphone and save a trip to The Bank. 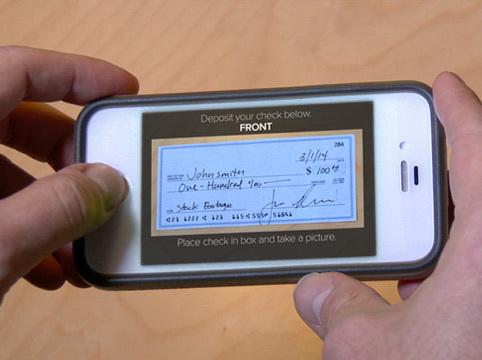 Mobile deposit lets you deposit checks securely anytime. 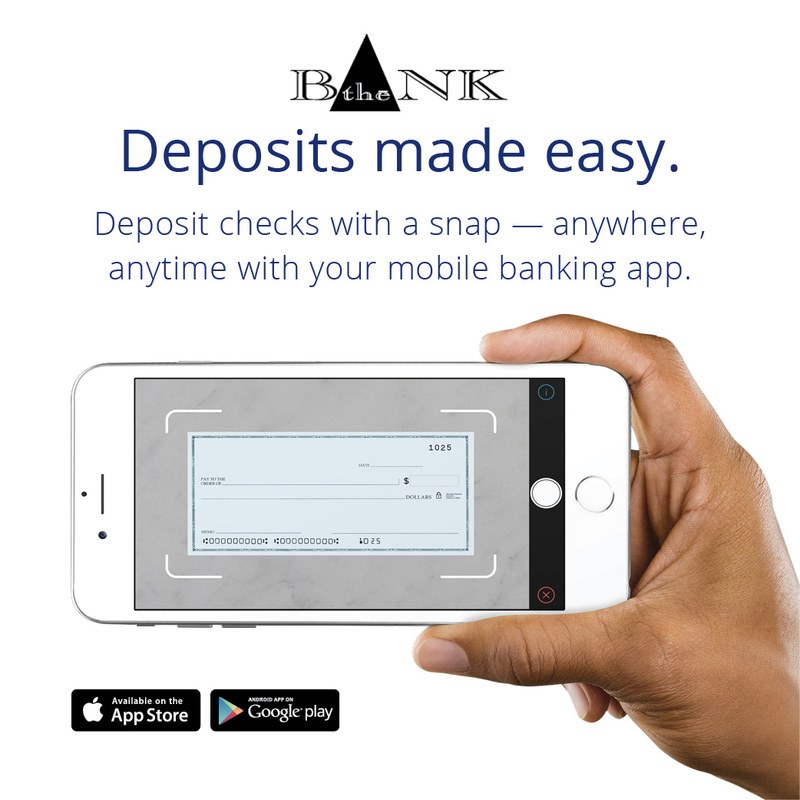 All you need is a valid check, a camera-equipped smartphone or tablet, and our The Bank mobile banking app! It’s as easy as sending a photo!! Simply login to your mobile banking app and select the plus sign. Next, select “deposit”. Endorse the back of the check. Click the front and back icons to take a picture of the front and back of the check. Enter the amount of the check, select an eligible account, enter an email address to receive alerts regarding your deposit, and then click submit. You will receive an alert when the check has been received informing you whether it’s been approved or denied. *Certain restrictions may apply. Accounts subject to eligibility.